Taylor Sawmill offers a wide selection of Exterior Siding in sizes ranging from 1"x 4" to 2"x 8". These products are available in Northern White Cedar and White Pine. All of these products are kiln dried and milled to exact specifications, then finished on our Wadkin Moulder. We take great pride in the quality of finish in all of our siding products. Please select a link from below to view samples of our products. 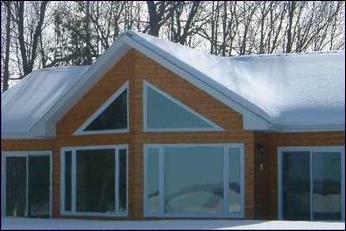 Many siding profiles can be duplicated with our specialty equipment.